Header designed by Jennifer Jones, graphic designer for MSU Libraries. 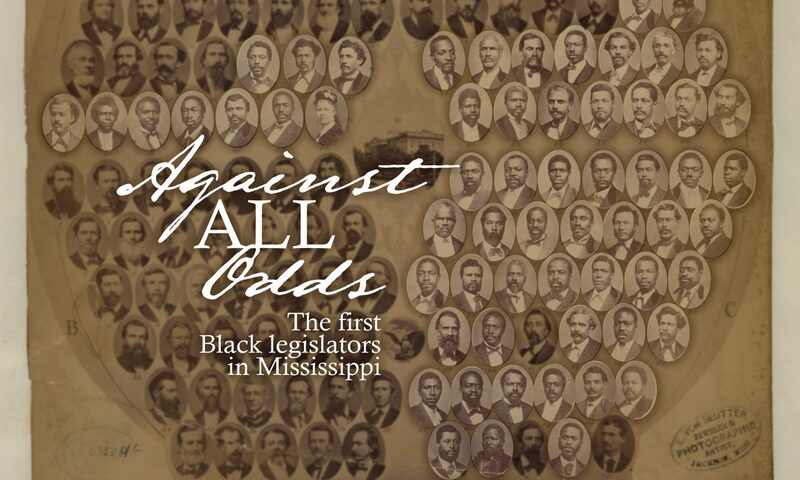 The header image, from which I’ve cropped the portraits for individual lawmakers’ pages, is “Members of the Legislature, State of Mississippi, 1874-’75” from the Library of Congress, and is available online here. The image is also on display at the Mississippi Civil Rights Museum.